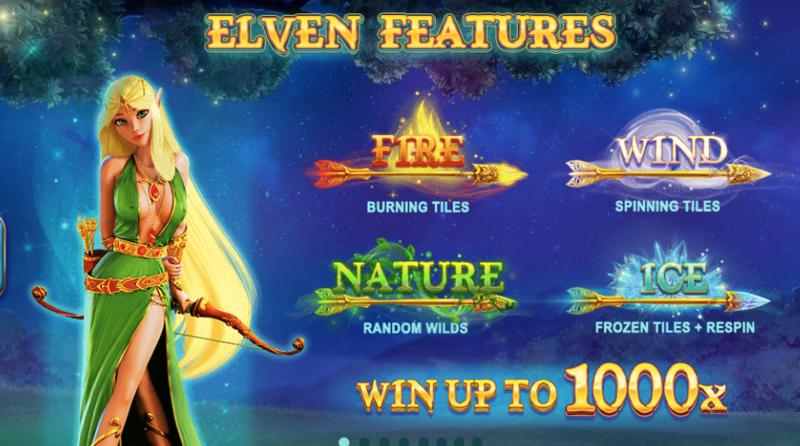 The theme for Eleven Magic is truly endearing with a magical feel that will keep you occupied and engaged in this online slot game. 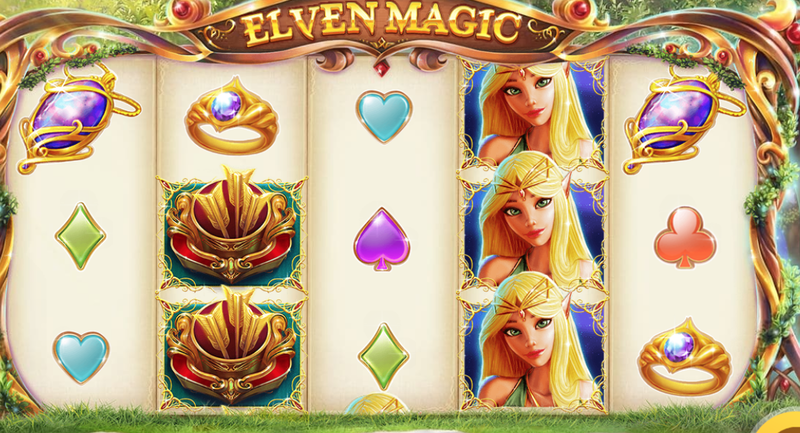 Eleven Magic is a five reel online slots UK which is based in thirty pay lines. The game holds much value through possessing a range of gaming features such as: bonus rounds, interactive features and big payouts! The background to the reels is relaxing to be around with decorative branches twisting around the reels. There is also ambient music flowing in the background which makes Eleven Magic a great escape from civilisation into a creative realm of online spinning. The symbols that you will see popping up on the reels in this game include elve’s treasure and the traditional card suits which are designed in a creative style like pendants. The elf himself will also make an appearance! The wild symbol comes in the form of a golden shield which replaces other symbols to increase the chances of a winning formation. The archery bonus is highly interactive and the player will need to pick one of the three quivers of arrows. If lucky, the target can increase the original stake by up to 500x the original bet! There are several arrows in the game which have different rewards. For example, the arrow of wind allows symbols to form into the same kind and the arrow of fire will make symbols identical at random. All these symbols are great because they are increasing chances of a payout! The progressive jackpot is triggered from the base game by getting three jackpot symbols to appear. These have the potential to pay big or small but whatever the prize, it is shown on the left of the reels. There is a daily jackpot feature which must pay out before the time shown. If you love bonuses and promo's, explore EasySlots for all the best offers! This is a visually appealing theme with bonus features appearing regularly to keep players involved in the fun of online slot games. The payback is fairly average here but its worth getting involved all the same! Red Tiger have not failed in developing a mystical theme with the chance of high payouts in the bonus rounds! 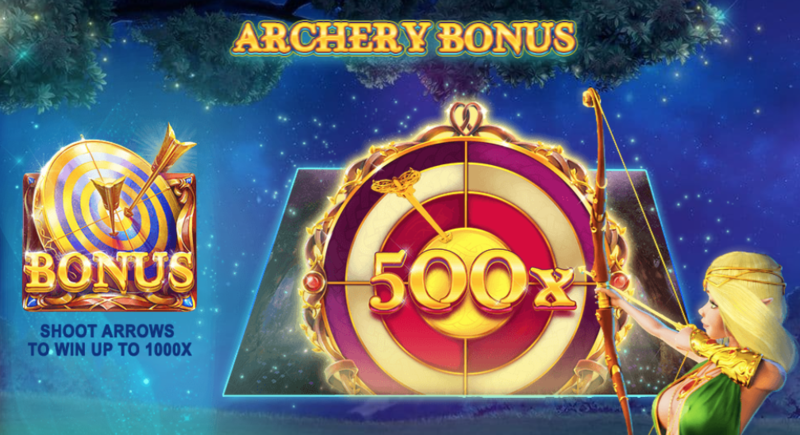 The progressive jackpot in the game is appealing to many players and the special archery bonus features contribute to an impressive RTP of 96.27 percent. So get ready to immerse yourself in the mystery and weirdness and enjoy a game of bonus rounds, targets and cheeky elves! Click the link if you want to play more.